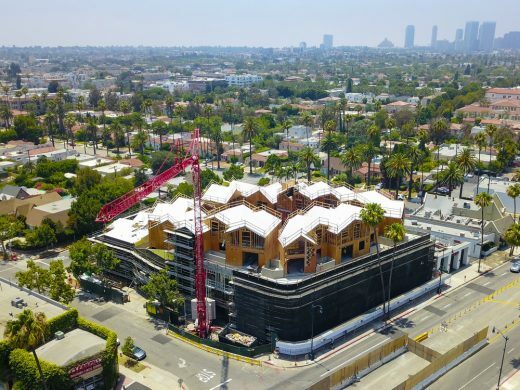 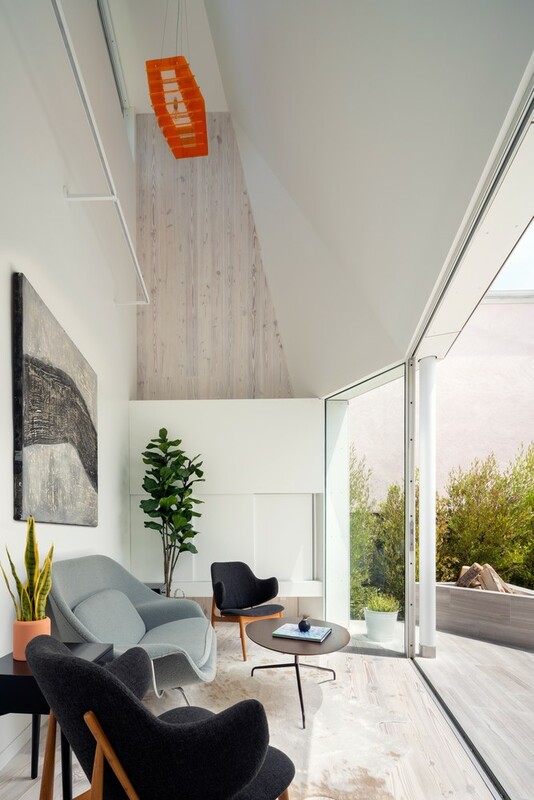 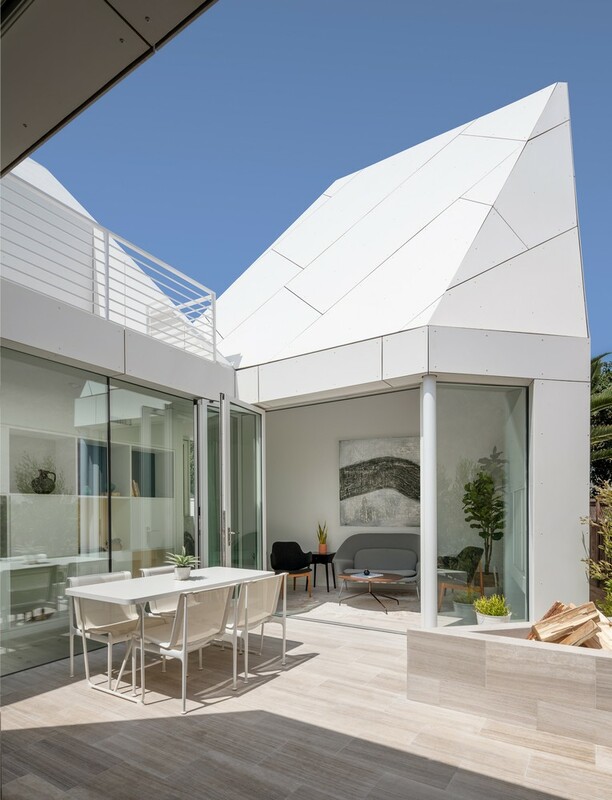 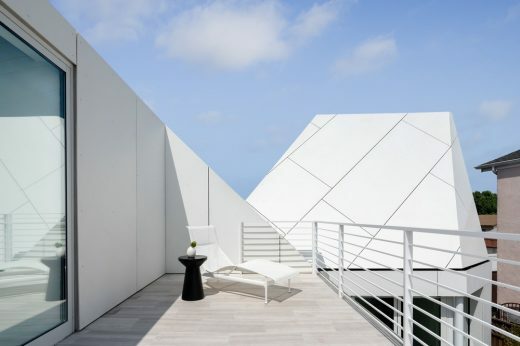 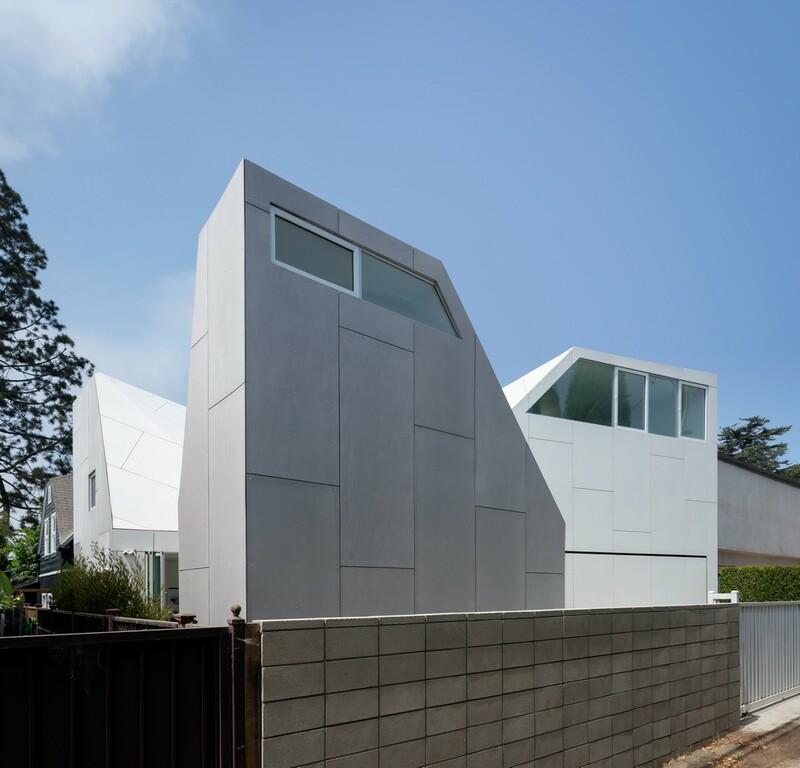 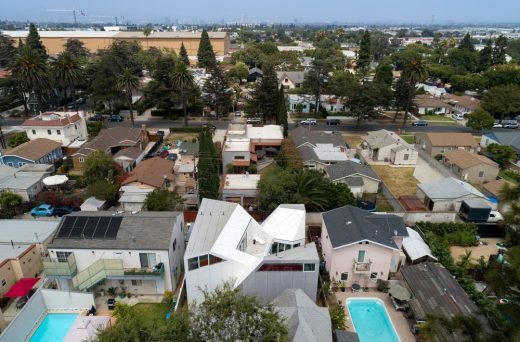 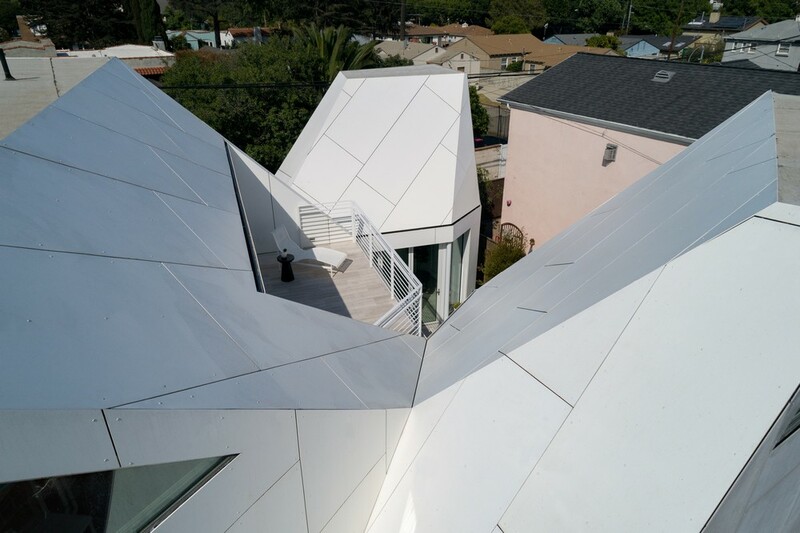 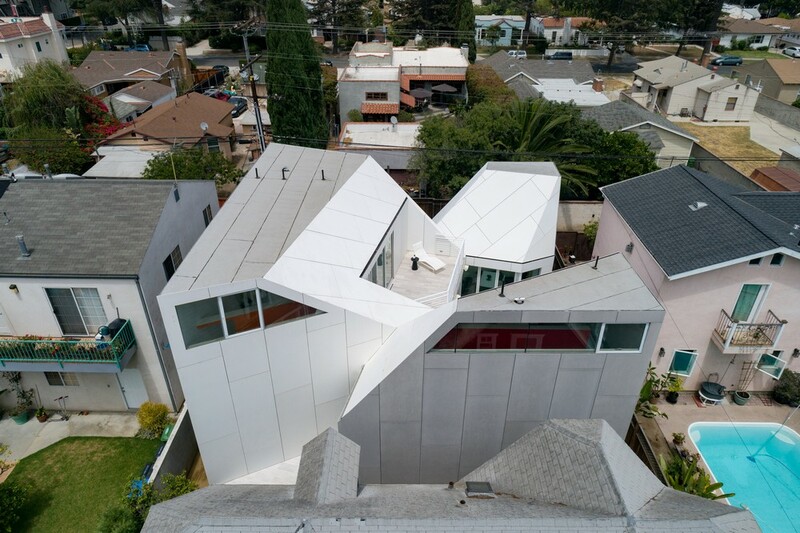 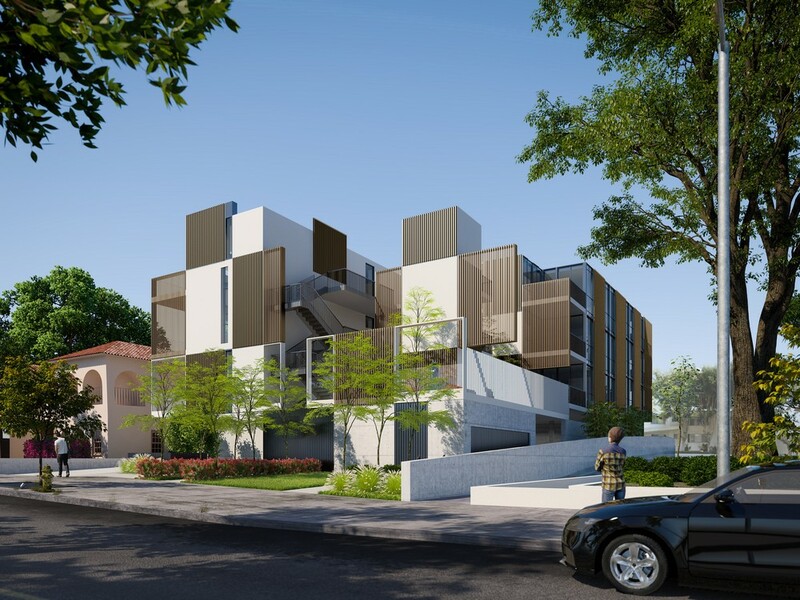 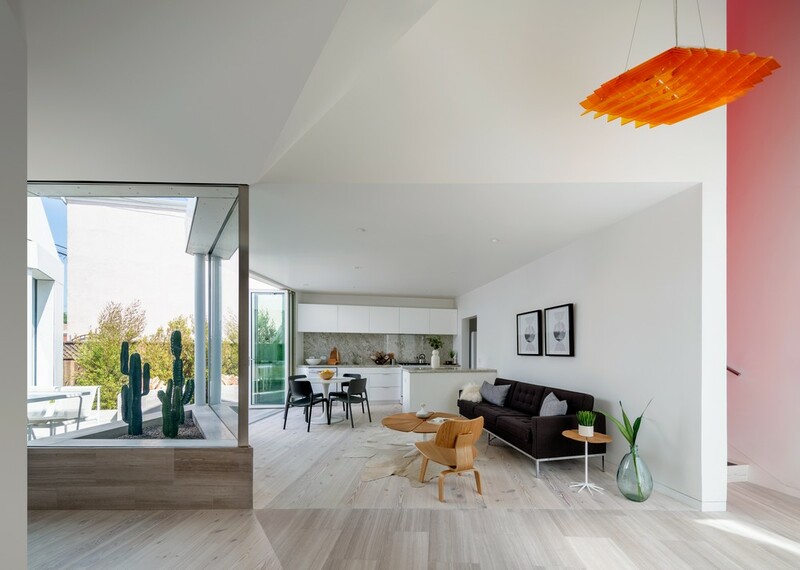 Los Angeles-and-New York-based architecture office FreelandBuck recently completed a new residential project, Second House, in Culver City, Los Angeles. The new 1,500-square-foot home is an intricate aggregation of interior and exterior volumes. Located on a tight site behind an existing residence, the new structure borrows the steeply pitched rooflines of the front house while turning inward around a private, central courtyard. 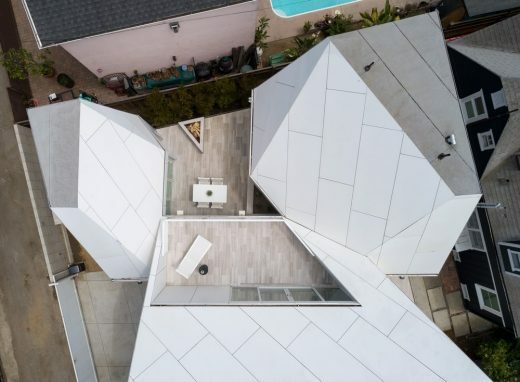 Each room of the house is expressed as a distinct block paired with a corresponding exterior space (two entry alcoves and a balcony overlooking the courtyard) carved from the buildable footprint. 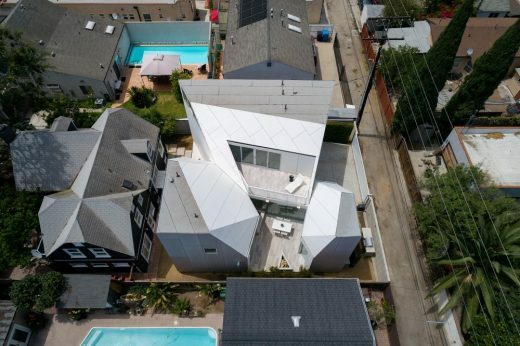 Even though the program is articulated as separate volumes, the interior and exterior spaces are woven together into a single, visually continuous living space. 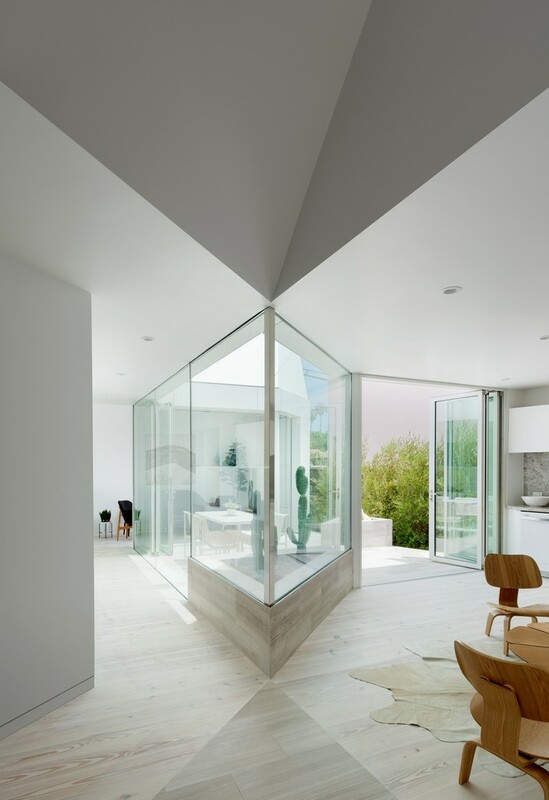 Transitions and thresholds are emphasized by an alternating arrangement of material surfaces, creating a series of dramatically different spaces that are integrated into a single environment. 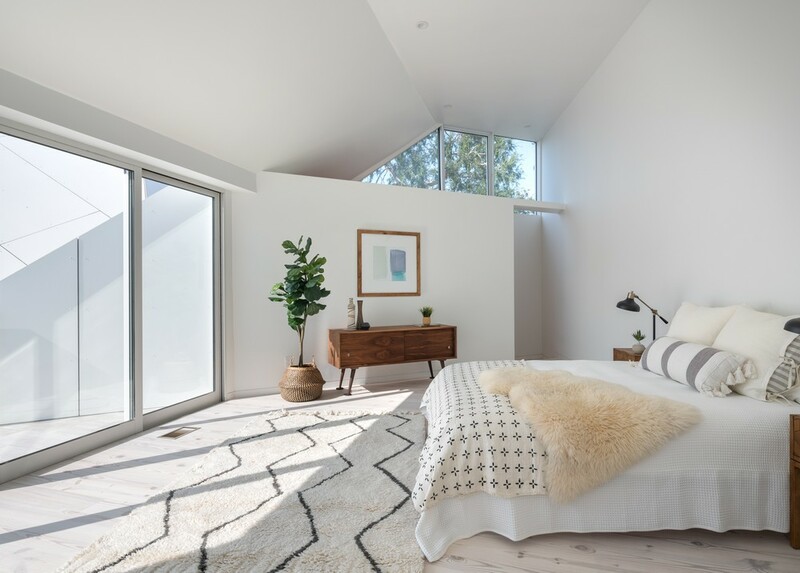 Floor materials such as tight-veined grey limestone and white stained knotty pine suggest distinctions between interior and exterior. The interior stairs are painted bright red and orange, with the colors leaking into adjacent bedrooms and living spaces depending upon light intensity and time of day. 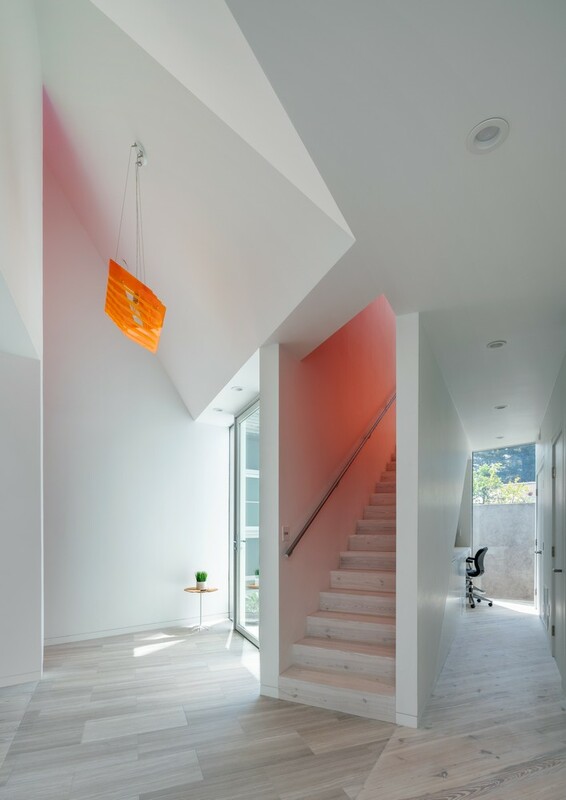 Light cascades down into the interior from high windows, providing views to the sky and hills. The exterior is clad with custom-patterned cement board panels and can be read as a monolithic mass. The orthogonal surfaces have a slightly darker tone than those at a diagonal, producing an ambiguous reading between a single rectangular block and three aligned wedges. In contrast to the differentiated-but-open ground floor, the master bedroom and guest room at the second level are isolated volumes, each contained in a separate wedge. Furniture provided by Knoll Inc.